Lozione per capelli ad azione nutriente, tonica e rinforzante - ESI S.p.A. 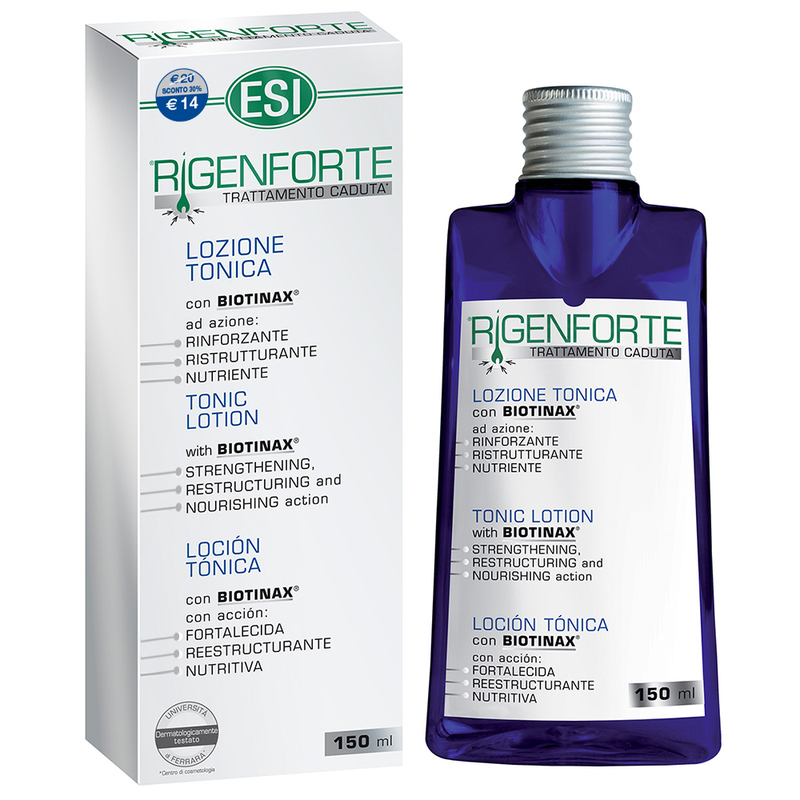 This hydroalcoholic based lotion is part of the Rigenforte hair treatment system. Its ingredients are rich in nutrients that tone and strengthen the hair starting from the roots, and was specifically created to prevent temporary hair loss and weakening of the hair fibers. By massaging this Rigenforte lotion into scalp daily, it helps to stimulate the scalp's normal physiological functioning. It’s non-greasy, dries quickly, doesn’t weigh down the hair, and is also suitable for sensitive scalps. Apply this product to your scalp after every hair wash and every morning. Massage it in until it’s completely absorbed, and distribute it evenly on the entire length of the hair with the help of a fine comb. Pour the lotion into the palm of your hand, distribute it well on the scalp and continue to massage it in (in a circular motion) with your fingertips. Do not rinse. It leaves your hair feeling clean and smelling good. Warnings: This is a dermo-cosmetic product for external use only. Keep out of the reach of children. Avoid getting it into your eyes.